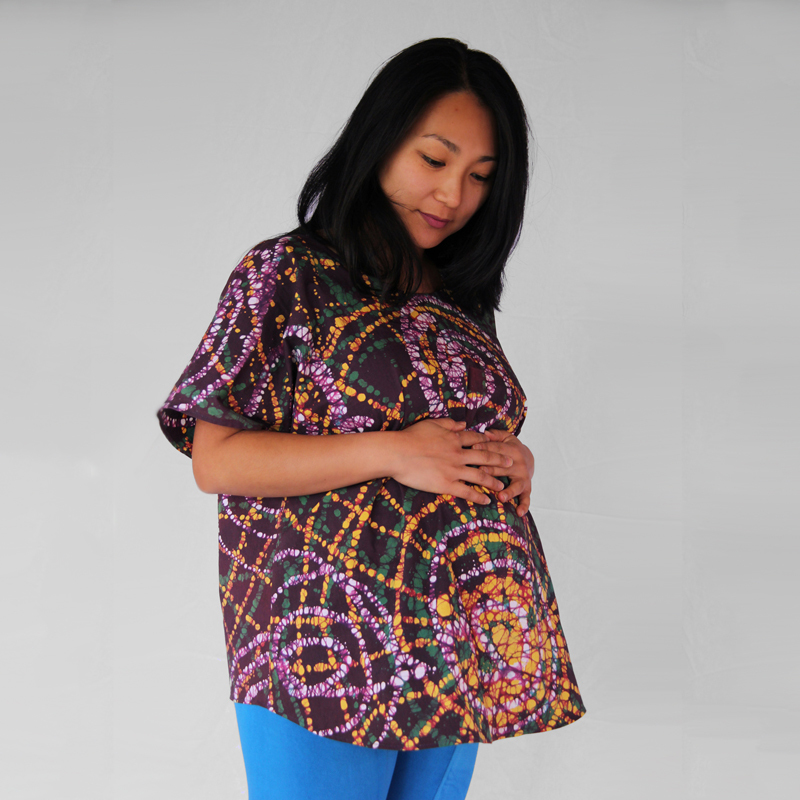 The Ultraviolet Maternity Tee is a Maternity Sewing Exclusive meaning it is available for sale only on Maternity Sewing. 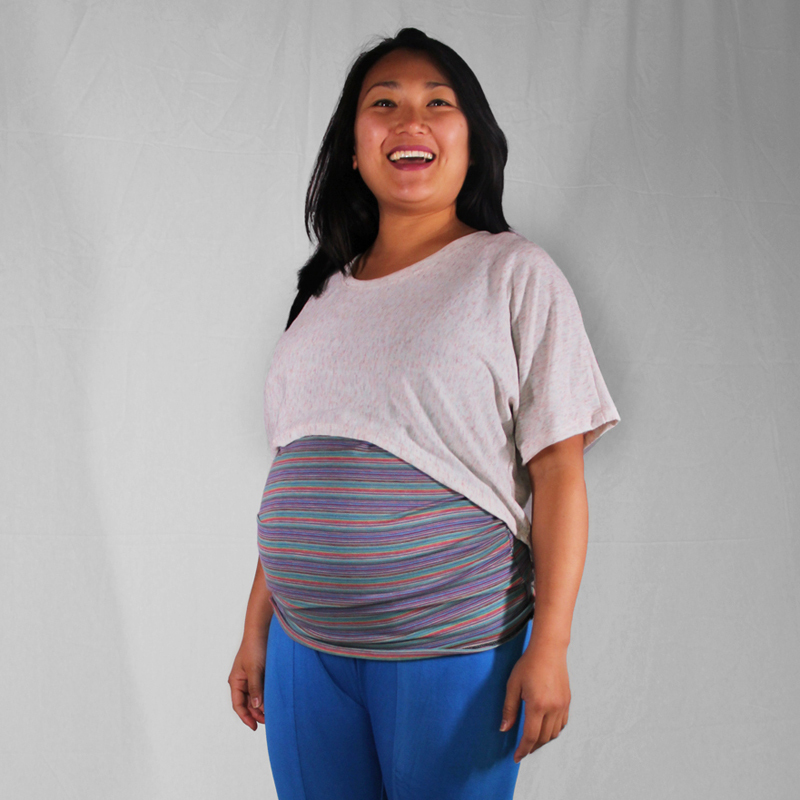 The Maternity Ultraviolet Tee will be an everyday staple of your summer like the UV rays from summer sunshine. Oversized with short cut-on sleeves, the shirt can be sewn from knits or wovens. 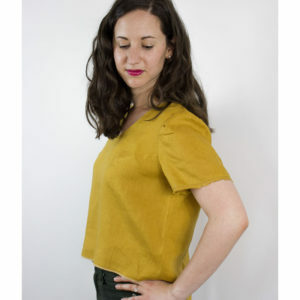 View A has curved hem that comes up high over the belly with high-low shape from front to back, meant to be worn over a camisole. 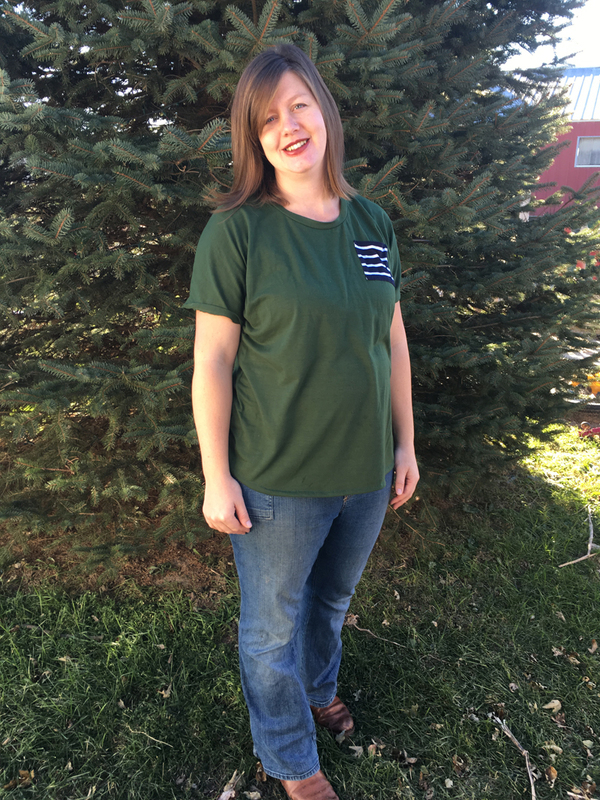 View B is standard shirt length and has a straight hem. 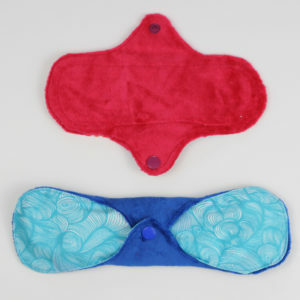 Available in 2 cup size options: A-C (dartless) or D-F (darted/gathered) and with an optional pocket. Fully illustrated step-by-step instructions provide separate construction information for wovens and knits. 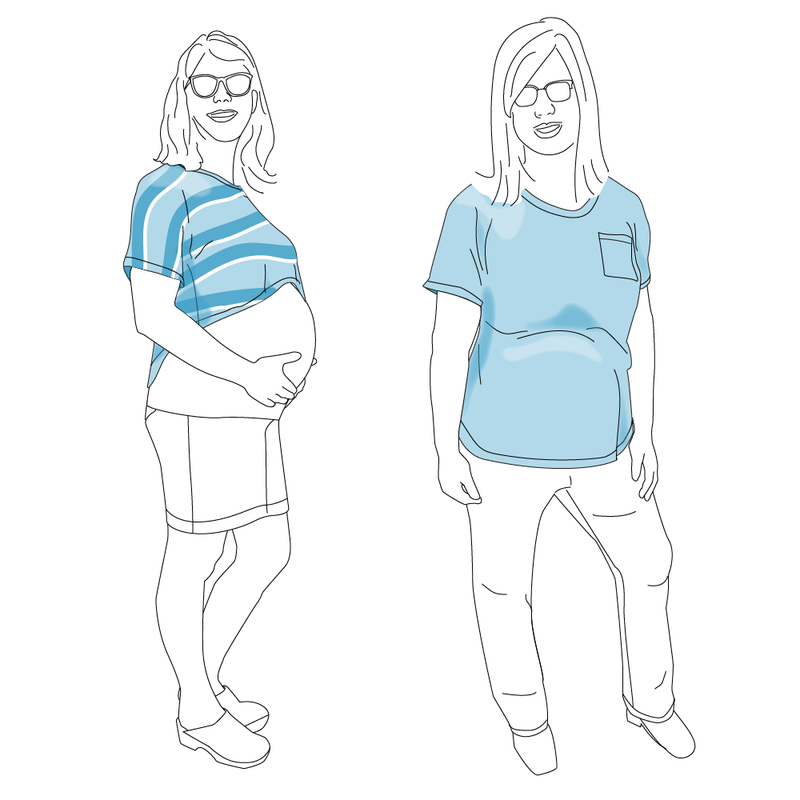 Both the Ultraviolet Tee and the Ultraviolet Maternity Tee are available on Maternity Sewing, so what’s the difference? 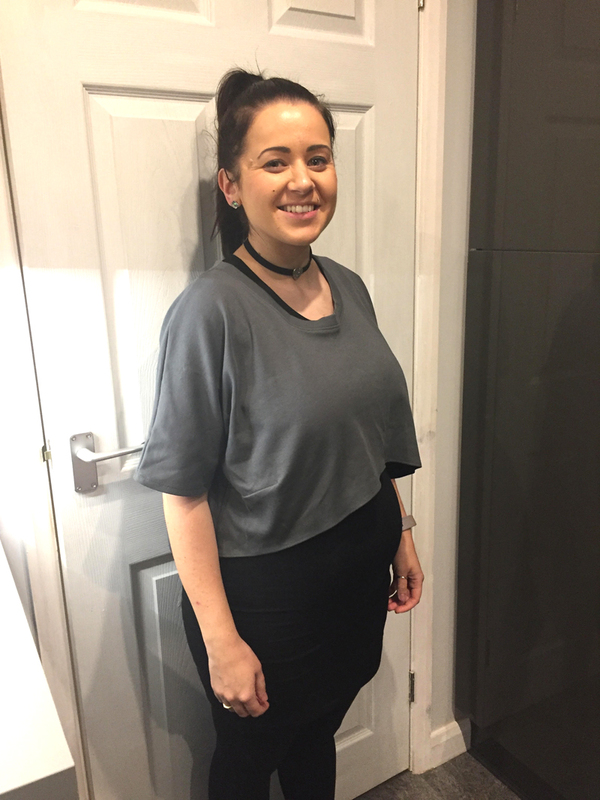 The Ultraviolet Tee is an oversized tee so it will comfortably accommodate a large belly – in a knit with the side slit it might even work until the end of your pregnancy. 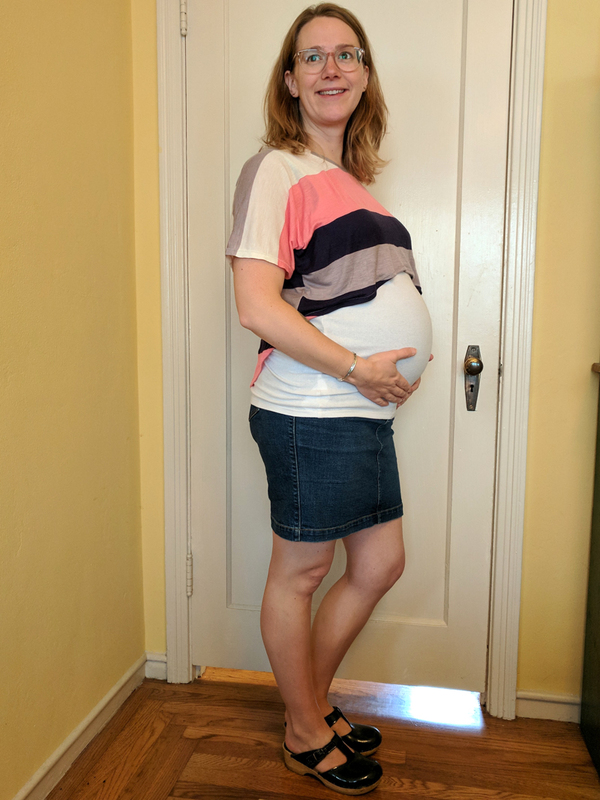 However, curves on your body (like your pregnant belly) take up fabric in both width and length so the from hem will ride up in the non-maternity version. 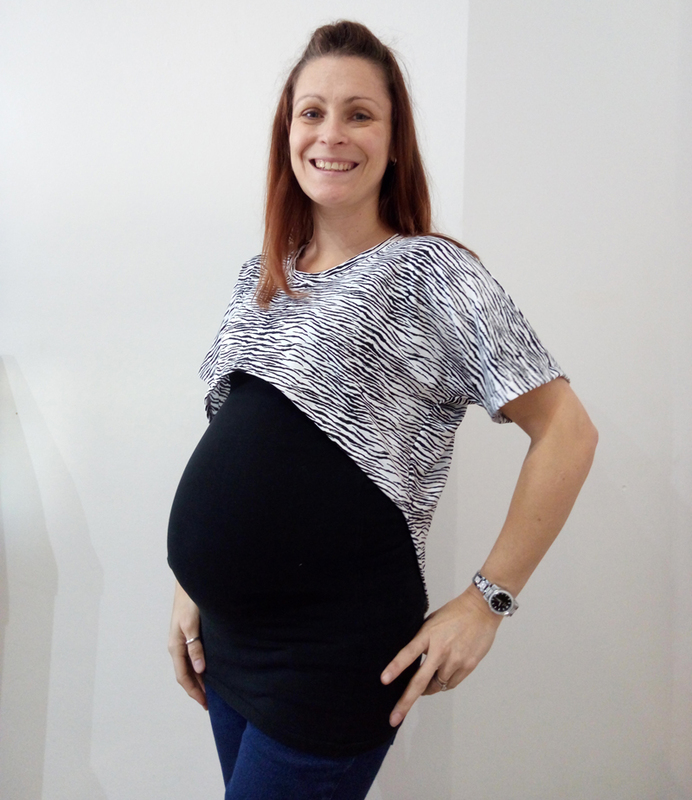 In the Ultraviolet Maternity Tee View B has been drafted specifically for your pregnant belly so that the front hem will remain full length and straight across through your whole pregnancy. 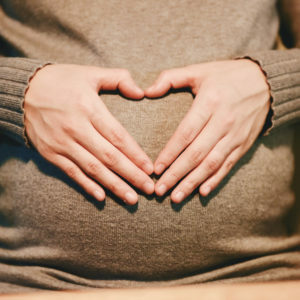 View A (the cropped option) will actually work on any body at any time but with the large curve from high front to low back it will show off the curve of your pregnant belly. View A also works well for nursing. 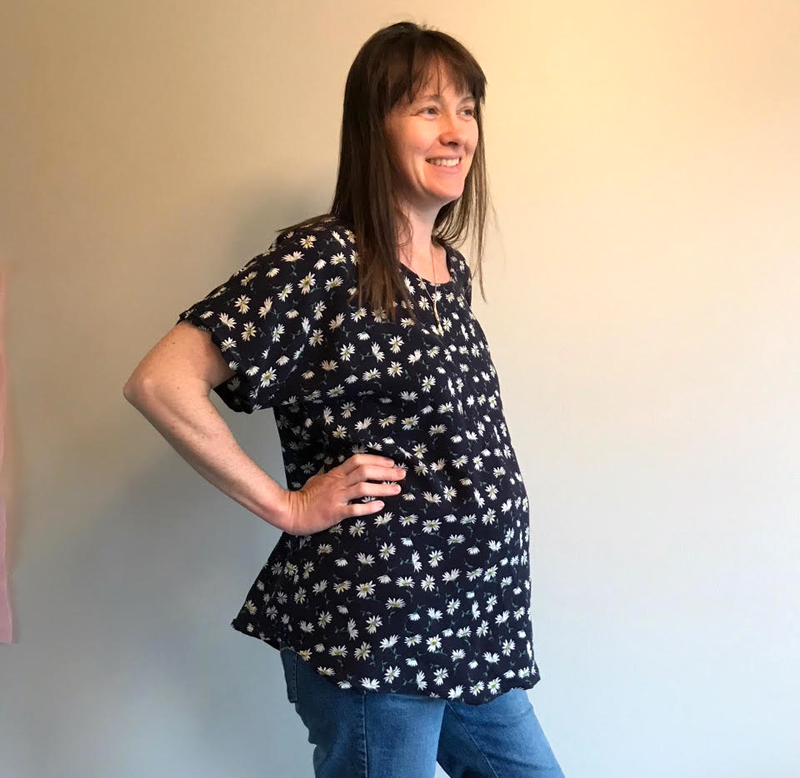 Tuesday Stitches has a bunch of helpful sewalong information on their website if you’d like some creative pattern hacks or some extra hand-holding through the sewing process.